Two of the most influential figures in American history. Two opposing political philosophies. Two radically different visions for America. Thomas Jefferson and Alexander Hamilton were without question two of the most important Founding Fathers. They were also the fiercest of rivals. Of these two political titans, it is Jefferson—–the revered author of the Declaration of Independence and our third president—–who is better remembered today. But in fact it is Hamilton’s political legacy that has triumphed—–a legacy that has subverted the Constitution and transformed the federal government into the very leviathan state that our forefathers fought against in the American Revolution. How did we go from the Jeffersonian ideal of limited government to the bloated imperialist system of Hamilton’s design? 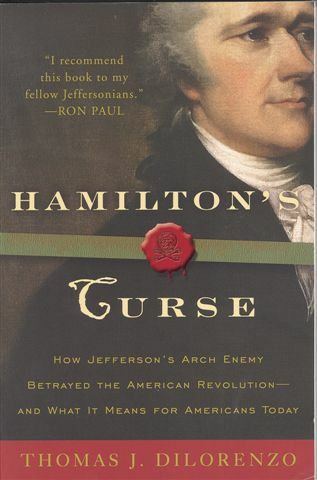 Acclaimed economic historian Thomas J. DiLorenzo provides the troubling answer in Hamilton’s Curse. By debunking the Hamiltonian myths perpetuated in recent admiring biographies, DiLorenzo exposes an uncomfortable truth: The American people are no longer the masters of their government but its servants. Only by restoring a system based on Jeffersonian ideals can Hamilton’s curse be lifted, at last. Thomas J. DiLorenzo is the author of The Real Lincoln and How Capitalism Saved America. A professor of economics at Loyola College in Maryland and a senior fellow at the Ludwig von Mises Institute, he has written for the Wall Street Journal, USA Today, the Washington Post, Reader's Digest, Barron's, and many other publications. He lives in Baltimore, Maryland. In Hamilton's Curse, author Dr. Thomas J. DiLorenzo traces the roots of America's economic and political systems to the first secretary of the Treasury Alexander Hamilton. We are truly living in "Hamilton's Republic," says Dr. DiLorenzo -- but this is far from a good thing. While it is Thomas Jefferson's face that graces Mount Rushmore, and tremendous lip service is paid to his greatness as a political thinker and president, in reality, Jefferson's ideas have been entirely marginalized, while those of his arch rival Hamilton now form the backbone of the American political establishment. The Revolution of 1776 was a Jeffersonian Revolution to throw off the yoke of British mercantilist imperialism and install it its place a voluntary union of free and independent states. Hamilton and his acolytes, however -- no matter how bravely and earnestly they fought against the Red Coats -- wanted to import British mercantilism to America with the U.S. aristocracy (Hamilton and his Federalist buddies) on the receiving end of the mercantilist spoils system. In fact, DiLorenzo argues that the Constitution itself was a virtual coup against the free republic of the Articles of Confederation for the purpose of increasing the authority of the central government -- key to Hamilton's plans. But Hamilton couldn't create the unitary nationalist government in one fell swoop. Indeed, his plans to install a permanent president -- an American king -- with the power to appoint state governors and veto state legislation failed miserably. But as soon as the Constitution was ratified, Hamilton (who argued the pseudo-Jeffersonian case for its ratification in the Federalist Papers) set about subverting it. It was Hamilton who invented the concept of "implied powers." Hamilton had George Washington's ear, and while historians act as if our first president was an "independent," the fact is that he almost(?) exclusively appointed Federalists -- meaning men who supported ratification of the Constitution -- to the bench. These were by and large men who simply wanted to increase the federal government's power over the states, and thus America was on the wrong path from the onset of the first presidency. The Federalist near-monopoly on the judicial system gave Hamiltonianism a foothold even as it suffered electoral defeat after electoral defeat -- starting with the election of Hamilton's arch rival Thomas Jefferson to the White House. Indeed, it wasn't until the War Between the States, as DiLorenzo calls it, that Hamiltonianism -- which had lost on the battlefield of ideas -- was installed on the actual battlefield, by brute military force. Lincoln was a Whig before he was a Republican, and the Whigs were the ideological descendants of Hamilton's Federalists. With Lincoln as their standard bearer, the new Republican Party had a full-fledged Hamiltonian agenda consisting of protectionism, high taxation, national centralism, corporate welfare, militarism, and national banking. These were the true issues over which the "Civil War" was fought, says DiLorenzo. The Hamiltonian Republicans reigned over America almost uninterrupted for the next 52 years, until Woodrow Wilson -- a Hamiltonian of the Left -- was elected. Under Wilson, Hamiltonianism reached its zenith (or nadir), as the income tax, direct election of senators, and Federal Reserve all came into existence. 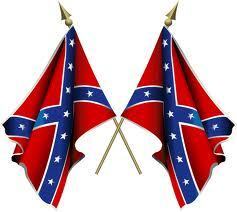 Entirely gone was the Jeffersonian republic of "states' rights." DiLorenzo also says that the American "Progressives" who brought about these horrors were directly influenced by the German Historical School -- which itself was strongly influenced by Hamilton. Thus, things came full circle. DiLorenzo concludes this wonderful book with a road-map to ending the curse. Unfortunately, I have virtually zero faith that Americans are ever going to wake up and reassert Jeffersonian principles. As DiLorenzo explains, we now have several generations who have been taught Hamiltonian/Lincolnian myths in institutionalized schooling to the point that both the Left and the Right view Hamilton as a great hero. In reality, he was perhaps the greatest scoundrel in American history. If only Aaron Burr's bullet could have spared the man but killed his wicked ideas! DiLorenzo has made a difficult subject readable. It is an American political economic history covering a period from the Ratification Debates to the present. It is told from the contrasting viewpoints of Jefferson and Hamilton, as to the political system which the secession from England was meant to create. For me, it covered new ground and reinterpreted well some ground I thought I had understood. It is both chronological and topical history. The author's use of original and secondary sources added to its value. All of which made it a fruitful present exercise and a tool for future reference. As has been noted by other reviewers, it has special present circumstance value. National Bank/Federal Reserve Bank is the pivot point of today's rational pessimism. And it is the legacy of Alexander Hamilton. Greed comes with human seed; Hamilton's ideology centralized it. I suppose, in the dark history of "democracy" and its variants, one could have drawn the baseline with Solon or Pericles. However, in the uniquely American variant of a "democratic" social contract, it is Hamilton's legacy that needs scrutiny. And DiLorenzo delivered such fully. Whether it is the Supreme Court, The Fed, regulatory practices, the income tax, direct election of Senators, protectionism, or standing armies, Hamilton is the genesis. Our "Great Experiment" had a frightful beginning, a precarious middle and, obviously, might have an oligarchic end. We had a chance to design a system based on Jefferson's theories, but we have chosen otherwise. Perhaps we're cursed by Hamilton. Robert Higgs, one of the many fine writers referenced in this book, asked himself in print recently: have we been led by fools or mountebanks? He answered: yes! And in reading this great book, I thought often that Hamilton might be both.